Nerves of iron, curves of steel. 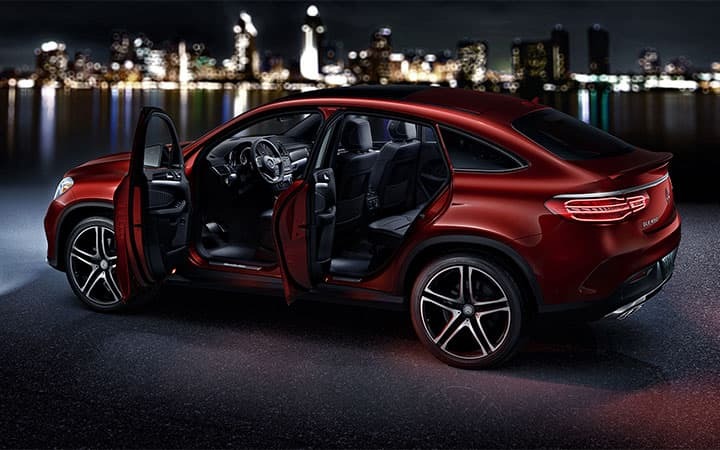 The Mercedes-AMG GLE Coupes are a fusion of racing-bred tenacity and finely tailored luxury. Beneath their arching rooflines and muscular shoulders you'll experience a mix of verve and versatility not found in ordinary SUVs and not possible in traditional coupes. Thoroughbred power, from the place where horses are raised. Exclusive AMG enhancements create power with a pedigree. From stronger turbo boost to a sport exhaust, the 3.0L V6 biturbo in the GLE 43 heightens its output, and your emotions. 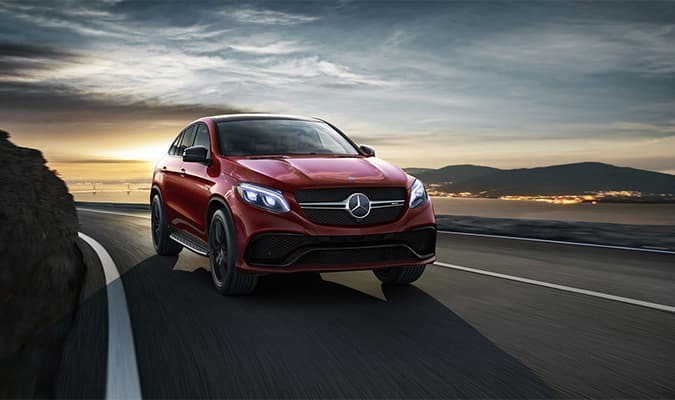 A paddle-shifted AMG-enhanced 9-speed puts its 385 hp and 384 lb-ft of torque as close as your fingertips and right foot. 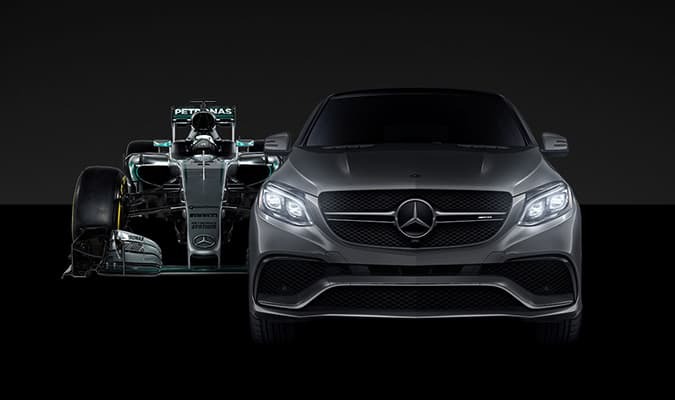 The strength of a Mercedes SUV, the seduction of an AMG coupe. 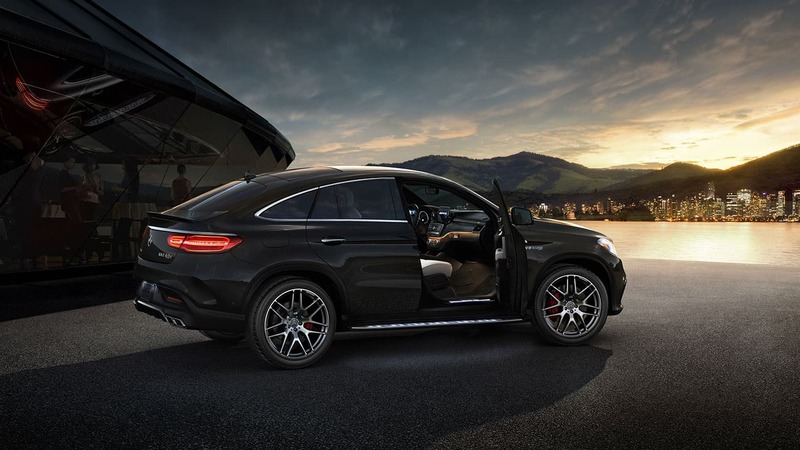 "Driving Performance" shifts more than its shape in the most powerful GLE Coupe. Its handcrafted biturbo V8 generates 577 hp. 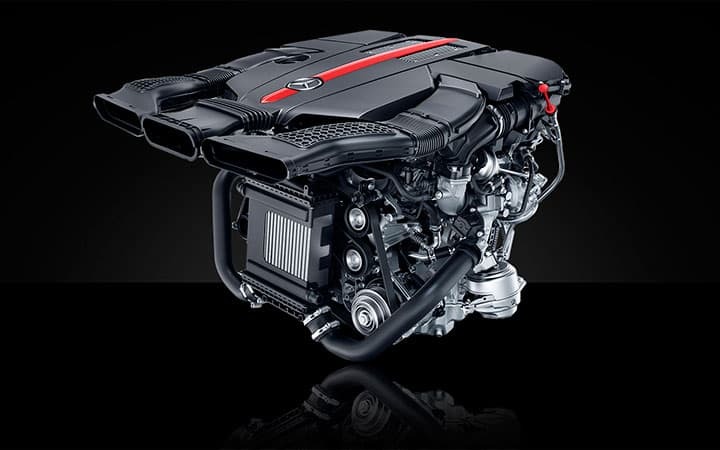 The AMG SPEEDSHIFT PLUS 7-speed turns a seemingly endless torrent of torque into an intoxicating sensation of thrust, with 100 km/h arriving in just 4.2 seconds. 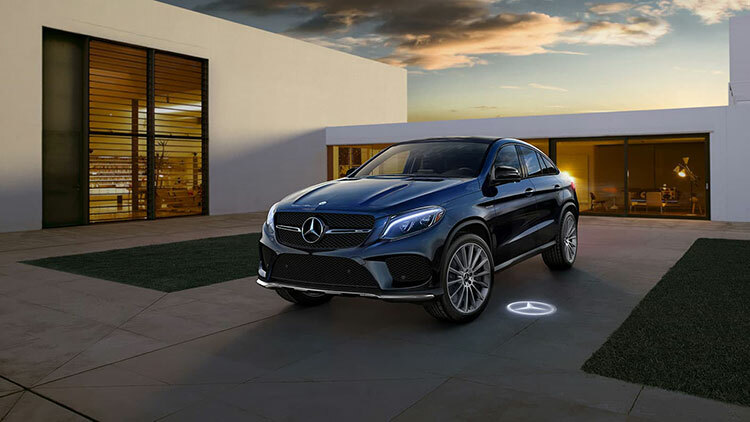 DYNAMIC SELECT lets you match the GLC Coupe’s driving style to your own. From relaxed ECO mode to racy Sport+, it reprofiles the 9G-TRONIC transmission, the throttle, chassis and more. You can even create a mode of your own. Alluring curves, from an inspiring line. Sleek, sensuous and self-confident: A Mercedes-AMG coupe is not just a body but a soul. From its aggressive stance to its muscular shape, an unmatched breadth of capabilities reveals the depth of character promised by the Star in its grille. Inside and out, it's made for big wheels. With the commanding view of an SUV, you'll feel like you're king of the road. 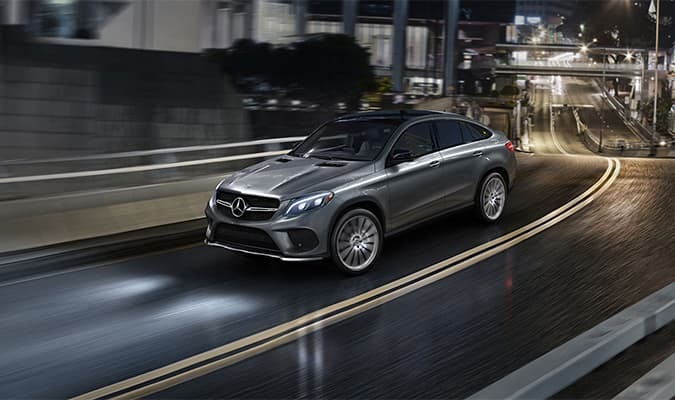 And where a GLE Coupe grabs the road, "king-size" is the ruling order. 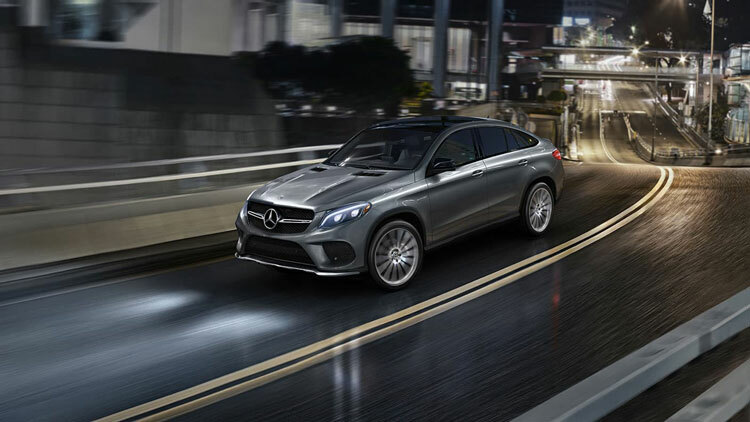 Standard wheels are substantial 21-inch alloys on the GLE 43, while the GLE 63 S rolls, and grips, on 22s. Coupe performance and style, SUV luxury and space. Four-door coupe design expands the SUV concept and comfort. The generous cabin welcomes five adults into spaciousness and luxury. Fold down the rear seat for up to 1,720 litres of versatile cargo space. A panoramic sunroof brings in the sky. 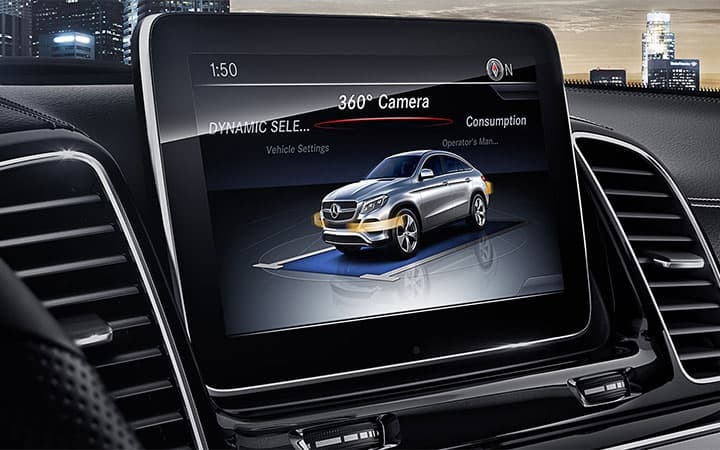 Advanced technologies help to smooth every move. A team of standard and optional systems can monitor all around you. They can alert you to danger, and help you avoid it. They can add to your comfort, by going with the flow of traffic and lanes. They can even help you find a parking space, and park in it. Intuitive innovation, in tune with your nature. A vivid 8-inch screen and clever touchpad controller help keep you informed with standard COMAND navigation, Apple CarPlay™, Android Auto and more. Available dual-screen Rear Seat Entertainment and Bang & Olufsen® BeoSound™ audiophile sound can turn the cabin into a moving theater or concert hall. The power of attraction, and of traction. 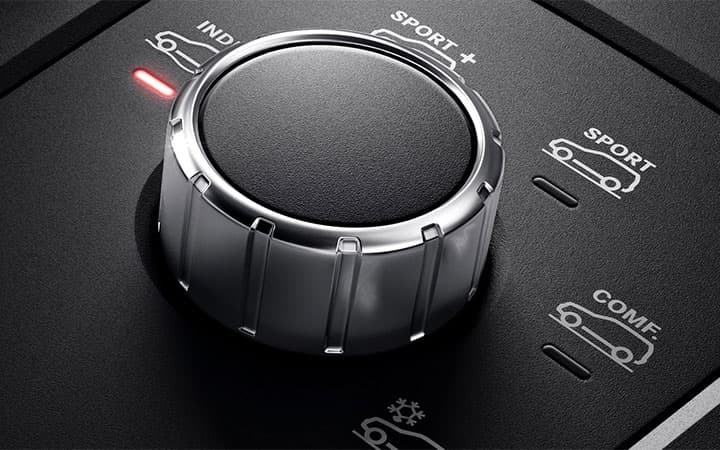 AMG Performance 4MATIC is engineered to turn torque into traction. Launches put power to pavement for quicker takeoffs. The lightweight system expertly apportions base torque 40:60 front-to-rear, sharpening agility in corners and powering out of them assertively. Stated rates of acceleration are estimated based upon manufacturer´s track results and may vary depending on model, environmental and road surface conditions, driving style, elevation and vehicle load. Even the most advanced safety systems may not be sufficient to avoid an accident. 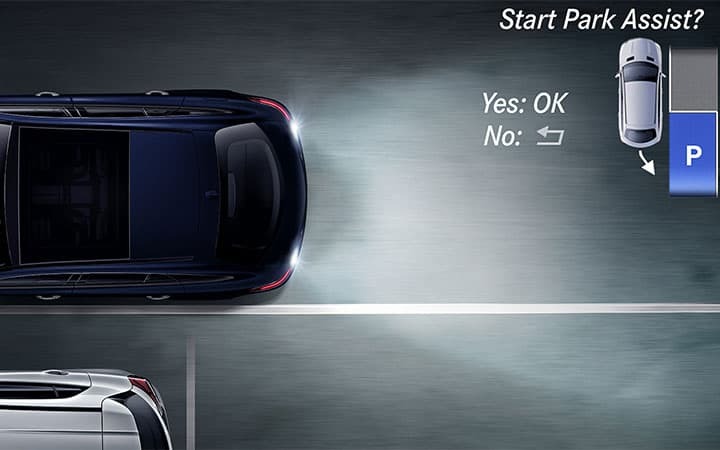 It is the driver’s responsibility at all times to be attentive to traffic and road conditions, and to provide the steering, braking and other driving inputs necessary to retain control of the vehicle. Drivers are cautioned not to wait for system alerts before braking or taking evasive action, as that may not afford sufficient time and distance. See Operator’s Manual for system operating speeds and additional information and warnings. Apple CarPlay is a product of Apple Inc. Android Auto is a product of Google Inc. Device and app providers’ terms and privacy statements apply. Requires connected compatible device and data plan. Apps, content and features are selected solely by their providers. Connection to apps and streaming services may be limited by the device’s network connection. Data usage is routed through device and subject to fees, charges and restrictions in user’s wireless plan. Vehicle’s factory audio/information interface, including COMAND navigation, may not be used simultaneously with Apple CarPlay or Android Auto. When Apple CarPlay or Android Auto is in use, the steering-wheel voice control button accesses Siri® or Google voice recognition software for voice commands. Bang & Olufsen option replaces spare tire with TIREFIT sealant and portable compressor.